These are not the break-open-the-can kind — these cinnamon rolls were the real deal: made with homemade dough that had to rise, filled with pecans, brown sugar and butter then covered in cream cheese icing. 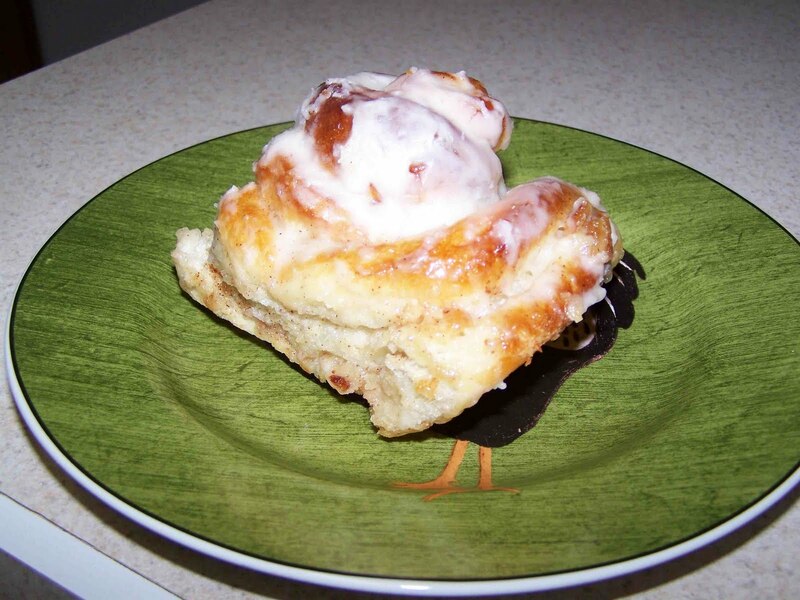 I’m pretty sure that one cinnamon roll fulfills my caloric intake for a single day. Unfortunately, I’ve succumbed to every dessert she has made. I know that somewhere in me I have the willpower to make healthier choices. I’m just not sure that I have the want power to do so. Needless to say, I must leave you now so I can let Jillian Michaels torture me with jumping jacks, jump rope, push ups, upright rows, and crunches. Hopefully in the morning, I’ll forget there are leftovers available for breakfast. This entry was posted in Uncategorized on August 20, 2010 by aliciachall28.